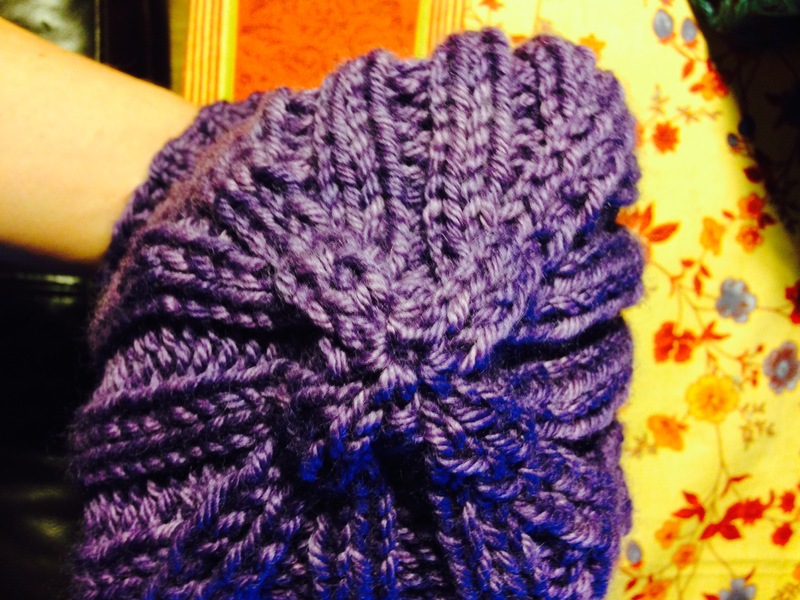 Here is the Big Blue hat I’m knitting for an archaeology tech I’ve worked with the past 7 summers. 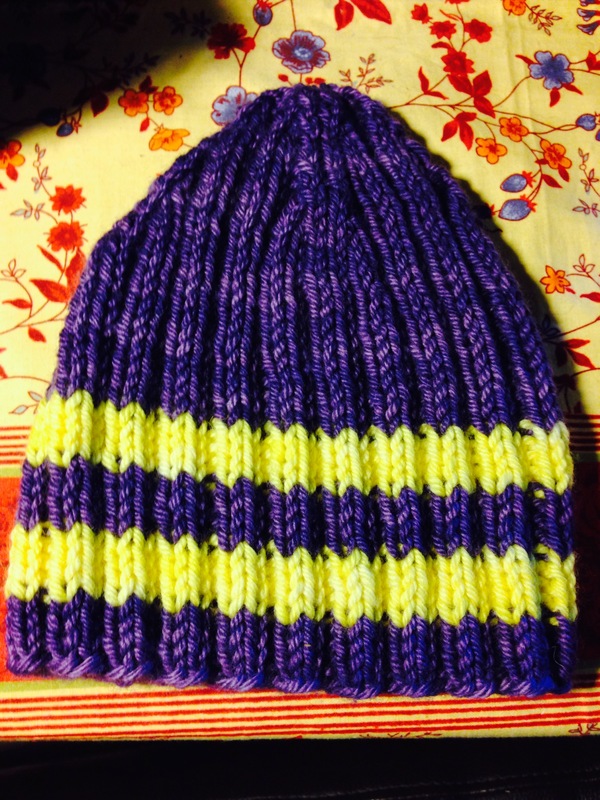 It’s actually a big purple hat but the yarn is Big Blue 100% Blue Face Leicester yarn from Fleece Artist. One of my favourite yarns. I love how it is finished at the top. The pattern is from ravelry. The gargantuan Melon by Carla Martin.